Nov. 7 (NBD) – Airbus and Boeing both announced on Tuesday plan to add new Chinese suppliers, marking the two airplane giants' further localization in China in the manufacture and service field. The plans were revealed at separate media briefings at the 2018 China International Aviation & Aerospace Exhibition held in South China's Zhu Hai. Boeing said it has five new qualified Chinese suppliers, which will provide products ranging from aluminum plates to chairs in business cabins. The company also extended cooperation with long-time Chinese partners. Airbus certified private enterprises Xizi UHC of Zhengjiang Province and Nanshan Group of Shandong Province as its new suppliers, George Xu, CEO of Airbus China, said at the press conference. Improvement of the supply chain in China will help lower procurement costs and enhance subcontractors' productivity, Xu said. 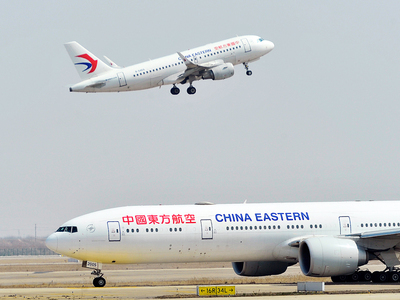 For the past decade, the two conglomerates have deepened cooperation with China across the whole aviation industrial chain. Boeing's cooperation with China includes new technology research and development, components manufacture, airplane completion and maintenance, said president of Boeing China John Bruns. The 737 Completion and Delivery Center in Zhoushan, jointly constructed by Boeing and Commercial Aircraft Corporation of China (COMAC), will be in operation in December this year and deliver its first plane, a 737 MAX. The plant is Boeing's first overseas extension of its 737 manufacturing system, and is expected to delivery 100 aircrafts annually at its full capacity. Airbus Final Assembly Line, a Tianjin joint venture with Tianjin Free Trade Zone and Aviation Industry Corporation of China (AVIC), is the first overseas final assembly line established by an international aircraft manufacturer. The Tianjin plant has delivered 387 airplanes by the end of September. Its current monthly output is 4 planes, and the number is expected to reach 6 in 2020. The extensive cooperation has made positive impact on China. John Bruns revealed that Boeing makes the annual contribution of 1 billion U.S. dollars to China's economy through procurement and joint ventures. Data from Airbus shows that the scale of the company's cooperation with China reached 640 million U.S. dollars in 2017, and the number is projected to reach 1 billion U.S. dollars in 2020. However, the two companies' Chinese partners, AVIC and COMAC, are their competitors as well. COMAC, for example, reaped orders of 30 ARJ 21, China's first commercial regional jet, at the exhibition. It is natural that China wants to take part in aircraft manufacture, since China's market is huge and aviation is an attractive industry in its own right, said John Bruns. Cooperation and competition always coexist in the aviation industry, and Boeing encourages competition, for it stimulates us to do better, he added. The China International Aviation & Aerospace Exhibition, also known as Airshow China, is a biennial airshow established in 1996. This year the show attracted more than 700 exhibitors from over 40 countries and regions.